Welcome to Lv Di SunShade Co.,Ltd! 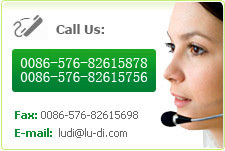 LvDi SunShade Co.,Ltd. has been set up in the year of 1992 and has strong technical approval and 100 sets international advanced equipment and knitting machines, It is a developing quickly factory and also is one of the largest exporter in China. Since years ago, the manufactory has passed the international quality control series ISO9001:2000. The factory produce many series of knitting net, Such as shading net, fence net, leisure net, beach net, anti-insect net, anti-bird net, olive net,wind defend net for agriculture and horticulture, other series is trellisnet and trampoline net. Our company is Chinese Plant Protection Institute invited, in 2013 July 18-20 day in Beijing exhibition sponsored by the Association for science and technology in Chinese Technology Association "fourth science and technology museum exhibits and technology facilities exhibition". The factory produce many series of knitting net, Such as shading net, fence net, leisure net, beach net, anti-insect net, anti-bird net, olive net,wind defend net for agriculture and horticulture, other series is trellisnet and trampoline net. LvDi SunShade Co.,Ltd. It is a developing quickly factory and also is one of the largest exporter in China.